Special conditions (noise, interruptions, etc. ): moved the microphone so it sounds scratchy in some parts, also Mr. Eidam knocks the microphone off so I have to place it on him again. Talks about family history, high school, and who he was a student. Talking about when he wanted to join the service, his parents business, tells of how the Korea war was going on. Tells of his job, his draft papers, how a lot of men didn’t want to join the army, and when his draft papers show up. Went down to Chicago, after Korea some went to Canada and become dodge drafters, man asks who wants to be in the navy, joined the navy to be close to home. Put on a train, separated from friends, sworn in, talks of belongings, taken to San Diego, made friends for life. Boot camp, recruit CPO, 120 companies, won battalions, top company, talks of medals and classes, getting shipped, first class, paid for college, shot the last shell before it ended. Talks of Korea, talks about ship. Shows pictures, Christmas leave, death of family, talks about base, all of his travels. Mother having flag in her window, no parade when they came home. 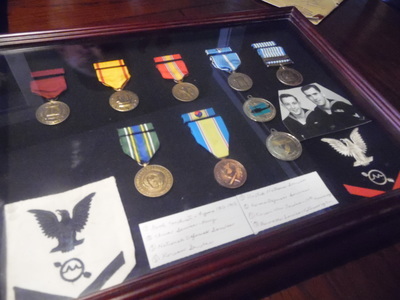 Shows medals, his younger brother, good conduct medal, talks more about his brother. Talks about his service, talks about when he passes, being in the paper, talks about his siblings. Talks about goals, talks about Germany, talks about boot camp, tells of the requirements, talks about boot camp friend. Talks about a boy from Chicago, talks about writing to the boy, receives letter from the man. Talks about documents, tells more about family, talks about discharge, tells of seeing action, talks about the benefits, gets paid monthly, shows more pictures, talks about ship reunion. Talks more about the reunion, talks about friends he’s kept in touch with, talks about the service, talks about meeting his first wife. Talks about his child, talks about three friends who died, talks about his business, talks about teaching, tells about his scholarship, speaks about college, talks about his present wife, talks about his life after war. 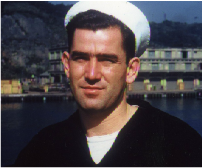 Roland M. Eidam, born and raised in Illinois, joined the Navy to serve in the Korean War. He grew up in Aurora, Illinois and attended high school, just like any other teenage boy. 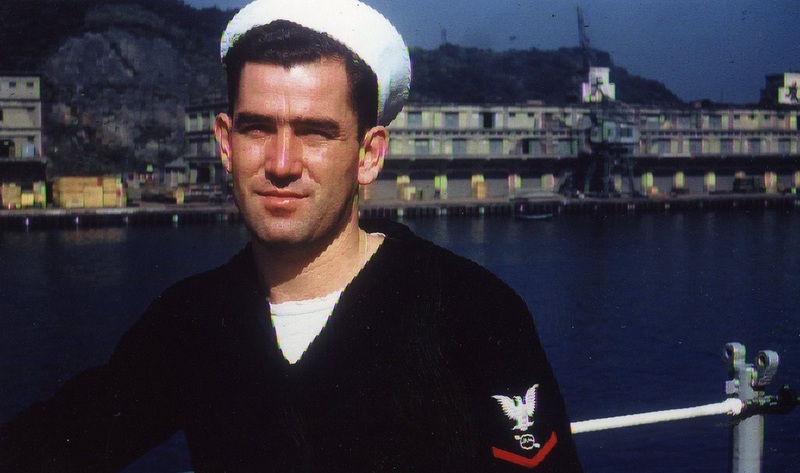 He did normal things, and played junior varsity and varsity football, graduated with his class, and later joined the service. 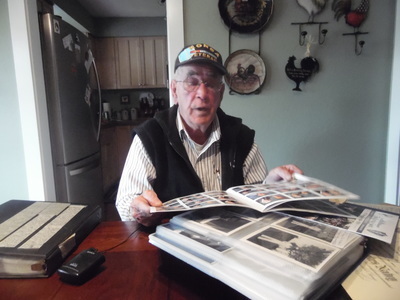 As his senior year of high school was going on, so was the Korean War. He graduated in 1951, and went to work for his parents, making burgers and hotdogs, and decided he no longer wanted to continue working for his parents, so he got a job with the electrical company. He later received his draft papers. Mr. Eidam chose to join the navy along with some of his friends, and was soon shipped to Chicago. He was then put on a boat, separated from him friends, sworn in, and then shipped to San Diego, California, where he made friends that lasted a lifetime. He tells of his boot camp experience, being the recruit CPO, and earning many medals. 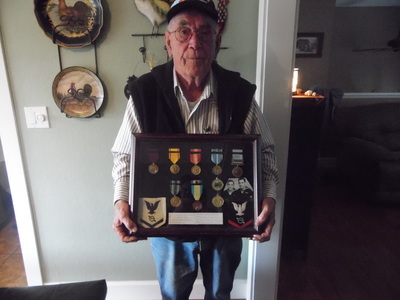 He was given an Honorable Discharge on October 21, 1960. Mr. Eidam is very proud of his service, and to be a Korean War Veteran. 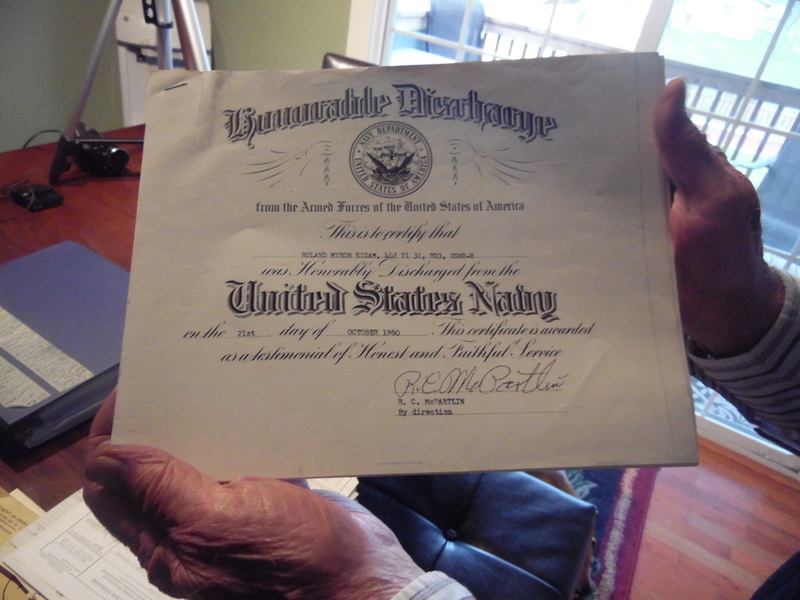 He has accomplished many things throughout his life, but his proudest moment is joining the Navy and serving his country.